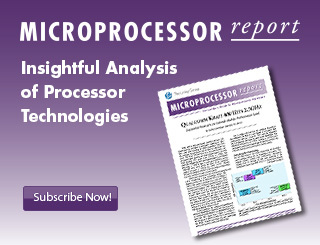 Many chip vendors are already developing or delivering products that combine a processor and a wireless connection. Depending on the target applications, the type of connectivity could be Wi-Fi, Bluetooth, Zigbee, or proprietary sub-1GHz protocols. 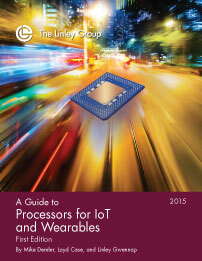 “A Guide to Processors for IoT and Wearables” focuses on this emerging product category of integrated IoT processors. 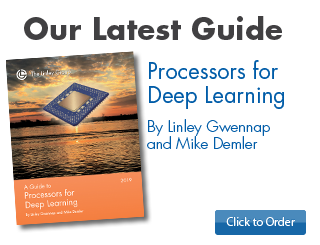 Following the introductory chapters, the report delivers detailed coverage of integrated IoT processors from Broadcom, Freescale, Marvell, MediaTek, Realtek, Texas Instruments, and Toshiba. 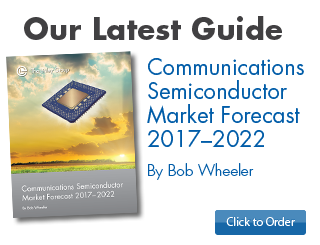 It also also covers IoT-focused processors from Atmel, Ineda, Intel, NXP, and STMicroelectronics. For each of these vendors, we discuss the company’s strategy for IoT, its relevant products and technologies, and expected future directions. The report includes technical specifications for the relevant announced products and discusses how well they fit their target applications. The “Internet of Things” (IoT) has quickly become one of the most used terms in the semiconductor industry, yet its definition remains unclear. Some people consider any embedded system that connects to the Internet an IoT device, a definition that includes a large swath of the existing embedded market. Others use the IoT label for any Internet-connected device, including smartphones and PCs. Rather than applying this label to large established markets, we prefer to focus on new markets, allowing us to gauge IoT’s true incremental value. 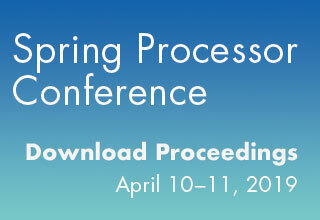 A new class of processors is emerging to meet the unique requirements of these markets. Initial forecasts of 50 billion IoT devices by 2020 were wildly optimistic, even though they included all Internet devices. Our forecast — which excludes established markets such as PCs, smartphones, set-top boxes, and TVs — shows shipments of 1.8 billion IoT and wearable devices in 2020. By comparison, we expect 2.1 billion smartphones to ship that year. Our forecast shows a total installed base of about 7 billion devices in 2020; adding 10 billion to cover established markets brings the total to 17 billion Internet-connected devices that year. Our forecast assumes consumer devices will become the biggest contributor to IoT volume, as consumers far outnumber factories and farms. We limit the target market for consumer IoT to the 600 million households worldwide that will have Wi-Fi and broadband connectivity in 2020, not the 7 billion individuals on the planet. Because the value proposition for IoT products (except smart meters) remains unproven, forecasts for the number of IoT devices per household, factory, or farm are quite speculative. Our model shows an average of 12 IoT devices per target household in 2020. To reach this deployment rate, low cost is essential. Initial prices include $349 for a Galaxy Gear smartwatch, $250 for the Nest thermostat, $278 for the Goji smart lock, and $79 for a Lifx light bulb. We expect the cost of these devices to fall below $100, and in many cases below $50. Some reduction will come from economies of scale and lower margins, but to achieve these price cuts, the bill-of-materials (BOM) cost must also fall. 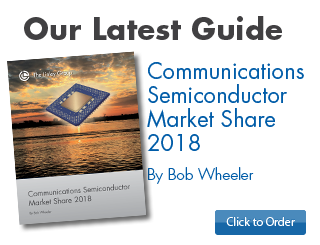 As in other high-volume markets, application-specific semiconductor products (ASSPs) will emerge, reducing BOM cost through integration. Because most IoT devices have a wireless connection, integrating the processor and the radio is becoming common. IoT processors often integrate memory (RAM and ROM) as well. Analog interfaces (including analog/ digital converters) can connect the processor to sensors, motors, and actuators. This level of integration also reduces power consumption, which is critical in wearables and other battery-operated devices, such as remote sensors. Because IoT covers many different applications, processing and wireless requirements vary. Many IoT devices perform little processing, merely uploading their data to a cloud service and executing commands. Other devices, such as security cameras, may analyze the data locally. Devices with a user interface require more processing. Most consumer IoT devices use Wi-Fi, but to reduce cost and power, others use IEEE 802.15.4 or similar protocols. Wearables typically communicate with a nearby smart-phone using Bluetooth. Vehicles and some industrial devices rely on cellular communications. Many chip vendors have already jumped into the IoT market. Broadcom, Marvell, MediaTek, and Realtek have added a programmable CPU to their existing wireless chips to create integrated IoT processors. Many of these chips include a proven Wi-Fi radio and are well suited to consumer IoT devices. Marvell is the only vendor supporting the full range of IoT protocols: cellular, Wi-Fi, Bluetooth, and Zigbee (802.15.4). MediaTek has gone the extra mile and designed a highly integrated processor for smartwatches. Cypress, Freescale, STMicroelectronics, and Texas Instruments have instead added wireless to their existing microcontrollers. These processors have limited CPU horsepower, but they often integrate memory and analog interfaces to reduce system cost. Most of them support simple protocols such as 802.15.4 and Bluetooth, which also minimizes power. TI is the only vendor in this group that has integrated Wi-Fi, based on its former mobile-connectivity products. Intel generates large “IoT” revenues from its embedded x86 processors, but it has yet to integrate x86 and wireless on the same chip. The company is developing Curie, a small module that combines its Quark SE processor with Bluetooth, memory, and analog components. This multi-chip approach is power hungry and costly, but the company could eventually create an integrated solution. Ineda is the first startup focusing on wearables. Although its processors do not integrate wireless, their unique multicore design optimizes power efficiency. This advantage may not be enough to offset the startup’s incomplete solution. Each of these initial processor offerings has significant shortcomings that prevent it from addressing the entire IoT market. As long as IoT demand remains unproven, chip vendors will be hesitant to invest large sums in ASSP development. Once a few IoT devices achieve high volumes, some vendors will improve their products to meet the needs of those applications. But the IoT market is broad enough to accommodate a large number of suppliers. This report explains what IoT and wearable devices each vendor can address today, as well as what technologies they can use to develop future ASSPs for these applications. Figure 4-1. IoT unit share by market segment, 2019. Figure 5-1. Block diagram of Broadcom BCM43907. Figure 5-2. Block diagram of Broadcom wearable platform. Figure 6-1. Block diagram of Ineda Dhanush Advanced processor. Figure 7-1. Block diagram of Intel Quark X1000 MCU. Figure 7-2. Block diagram of Intel Edison Arduino development system. Figure 8-1. Block diagram of Marvell 88MB300. Figure 9-1. Block diagram of MediaTek MT7681 in an IoT device. Figure 9-2. Block diagram of MediaTek MT2502 in a wearable device. Figure 9-3. Block diagram of MediaTek MT2601 in an Android Wear device. Figure 10-1. Block diagram of Toshiba TZ1000 in a wearable device. Figure 10-2. Block diagram of Toshiba TZ5000. Table 5‑1. Key parameters for Broadcom IoT and wearable processors. Table 6‑1. Key parameters for Ineda wearable processors. Table 7‑1. Product specifics for Intel Quark processors. Table 7‑2. Key parameters for Intel Quark IoT processor. Table 7‑3. Key parameters for Intel Quark SE processor. Table 7‑4. Comparison of Intel development kits for IoT gateways. Table 8‑1. Key parameters for Marvell IoT processors. Table 9‑1. Key parameters for MediaTek IoT processors. Table 9‑2. Key parameters for MediaTek wearable processors. Table 10‑1. Key parameters for Toshiba App Lite processors. Table 10‑2. Key parameters for Toshiba TZ1000 processors. Table 10‑3. Key parameters for Toshiba TZ5000 processors. Table 11‑1. Key parameters for Atmel MCUs. Table 11‑2. Key parameters for Cypress PSoC4 BLE MCU. Table 11‑3. Key parameters for selected Freescale Kinetis MCUs. Table 11‑4. Key parameters for NXP MCUs. Table 11‑5. Key parameters for Realtek IoT controllers. Table 11‑6. Key parameters for STMicroelectronics MCUs. Table 11‑7. Key parameters for TI MCUs. Table 12‑2. Comparison of high-end IoT processors for Wi-Fi devices. Table 12‑3. Comparison of IoT processors for 802.15.4 devices. Table 12‑4. Comparison of processors for low-cost wearables. Table 12‑5. Comparison of processors for high-performance wearables.